Reserve, Putney Hill’s newest collection of premium parkside homes, has proved a resounding hit, with all of the 15 homes sold out in less than four weeks. With a combined value of over $24.325 million, and some individual sales in excess of $1.8 million, sales of the spacious four-bedroom family homes were made via Expressions of Interest. explains the response from the market has exceeded all expectations. “The generous size of the homes and their location – adjacent to parklands at the heart of a thriving established community – and the strong local affinity to the trusted Frasers Property brand are three factors which resonate strongly with buyers, especially families. “This is a record sales result for us. The method of sale enabled us to engage the market through competitive bidding by closed envelope to a closing date, thus creating the fairest way for purchasers to buy. Mr Lowe said the last houses available at Putney Hill sold in 2012, and they’ve had many interested parties on the Reserve database for over 12 months. “Even when you take all of these factors into account, it is still highly unusual to sell such a large number of properties at this price point, in such a short space of time,” Mr Lowe said. Reserve is the latest addition to Putney Hill. 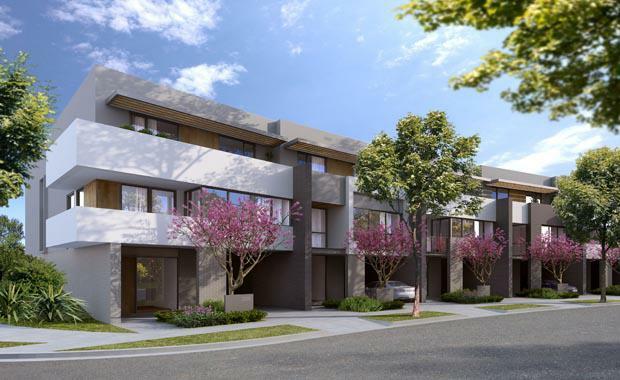 Its collection of spacious Torrens Title free-standing homes that are carefully crafted for comfort and luxury, featuring separate formal and informal living spaces, kitchen with Miele appliances, study zones, private back gardens and parking for two cars. “With over 250 residents already settled in to their newly completed homes and apartments at Putney Hill, this new neighbourhood is flourishing. At weekends residents and locals alike are gathering in Lardelli Park and the Royal Rehab’s great community facilities. “It’s the strong sense of community, combined with proximity to the CBD that are the real pull factors for buyers at Putney Hill,” Mr Lowe said. The Reserve collection of 15 houses is due for completion in mid-2016. There are 20 apartments still available for sale off the plan at Putney Hill, with a new stage of apartments to be released ahead of schedule next month to meet demand.